Why Height Safety with Heightsafe Systems? When considering which type of safety equipment to use, the HSE advise a variety of options you could consider. First you should consider if working at height could be avoided completely. Could alternative options such as extendable equipment or pre-assembled structures on the ground be used instead? If working at height cannot be avoided, the first consideration should be to use collective fall protection equipment to provide protection for anyone who has to work at height. Heightsafe Systems offers a comprehensive range of reliable collective fall protection systems which can eliminate risks when working at heights. Our systems meet the highest safety standards and comply fully with the relevant safety legislation. Our personal protection products include man anchor systems and horizontal safety line systems suitable for various applications. Heightsafe Systems can also supply custom built guardrail to suit varying applications, ladders, gates, and access platforms and walkways to complete an integrated roof top safety solution. We offer you full system design, development, installation and maintenance of Fall Arrest and Fall Prevention safety systems, with one of the fastest turnaround times in the industry for a comprehensive quote (subject to provision of project specification and/or drawings). Its fact that ‘shortcuts’ in safety can lead to devastating and often tragic consequences. Don’t leave the welfare of your team to chance. Our systems and comprehensive, certificated testing, not only save lives, but also time and reputations. Heightsafe Systems provide innovative products and first class Customer Service together with ongoing support for virtually every aspect of working at height, and our products provide you peace of mind with a 25 year guarantee for performance and corrosion resistance. Our teams work closely with Designers, Architects, Quantity Surveyors and Contractors, to ensure that whatever the clients Height Safety requirements are – they are met! Please contact us to discuss your requirements, you will be surprised at our companies competitive pricing policy, without compromise to quality. The millions of business establishments out there today make for tough competition between companies. Customer service is the key that allows Heightsafe Systems to jump ahead of the competition. According to UK News and World Reports, 82 percent of customers leave one business and go to another because of a customer service issue, therefore providing quality customer service should not be taken lightly by any business. A good customer service system is one of the best value-added services a business can offer to its customers, and at Heightsafe we believe a quality customer experience plays a huge role in customer preferences, leading to customers choosing our company even if we arent necessarily the lowest price. Our recently awarded ISO9001 Accreditation highlighted our quality systems as some of the best in the industry, and we are delighted to pass these on to our Clients. At Heightsafe a transaction does not end when our customers buy a product or service, and we pride ourselves on returning customer rate . Providing quality customer care assures you the Client, that we care about your satisfaction. Heightsafe Systems offer a complete design service package, providing details relating to system layout, fixing, operative usage guidance and cost. Layout and fixing detailed drawings are provided in AutoCAD format, showing all relevant information. 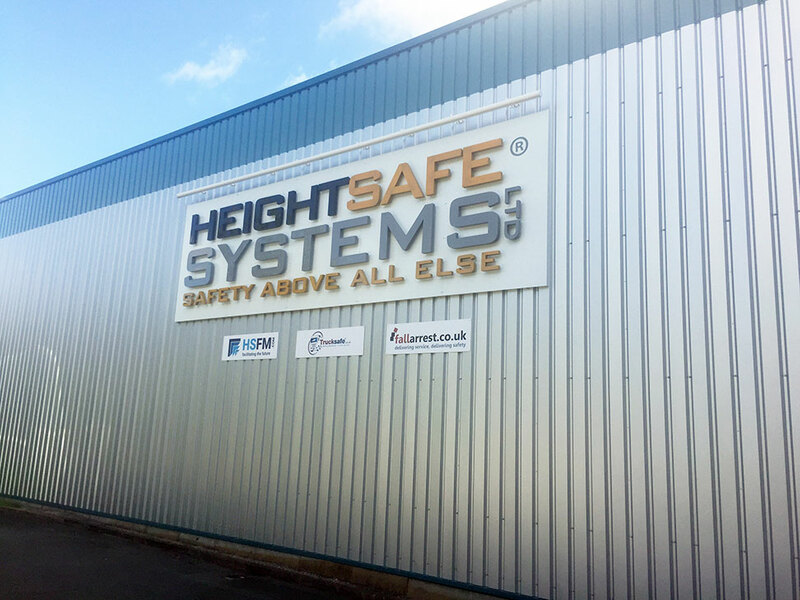 Heightsafe Systems operates an efficient, highly skilled and well trained team of installers who carry out the installation in full accordance with current Health & Safety legislation and industry practices. Once a system has been installed to the Clients complete satisfaction, Heightsafe Systems offers to train all users of the system. This is our duty to ensure that the system is used within the parameters of its layout design. We promise you won’t be speaking with a robot when you contact our team of experts. Every six to twelve months, safety systems will need to be either testing or inspected to ensure they are still fit for purpose and calibrated for correct use. Heightsafe Systems provide this service for both new and existing safety assets nationwide. Our customer service team will contact you when an asset is due for a retest or inspection, taking away the headache for you. Once booked in, one of our highly trained engineers will attend site, carry out the required work and will liaise directly with our head office. The team at our head office will then prepare the necessary paperwork and certification, which will be emailed or posted with 48 working hours of the work being completed.